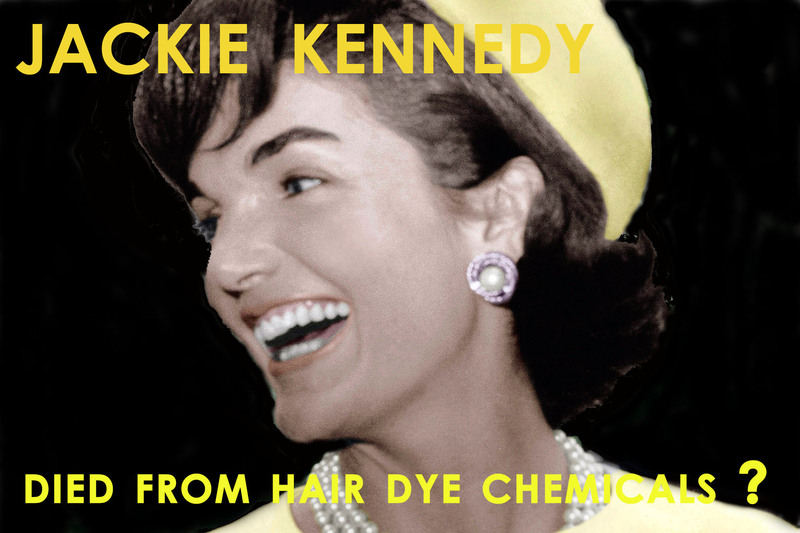 Did Jackie Kennedy died from hair dye chemicals? Though death due to an allergic reaction to hair dye is relatively rare, death from cancer is less rare. The National Cancer Institute suggests that one out of five of all cases of non-Hodgkin`s lymphoma among women are due to women`s regular use of commercial hair dye products. This is the disease that killed Jacqueline Kennedy Onassis, who used the more damaging darker dyes. Breast, bladder and other cancers are also linked to the use of PPD. The dye para-phenylenediamine, used in virtually every commercial permanent and semipermanent product, was shown in 1986 to be carcinogenic to the breast following oxidation with hydrogen peroxide, precisely as these products are used by women. Further evidence of the cancer risk from hair dye use comes from studies of hairdressers that have provided clear evidence both men and women are at increased risk for bladder and other cancers. Finally, hair dyes may also pose a risk to children whose mothers used them shortly prior to conception or during pregnancy. In fact, the risk of childhood cancer could be increased by as much as tenfold. You can visit my post to get one diy hair dye recipe with a photo showing the result on my post: follow my roots. If you believe this post worth it….please share it!!! 4 replies to Chemical Hair Dye Can Kill! I have to share with you, your materials here is very informative – would like to be talking on Radio Network or station?? My sister enjoys your page!!! Wow…thank you so much! I would be very happy and honored to talk about these passionate topics on network radio!! !